1. 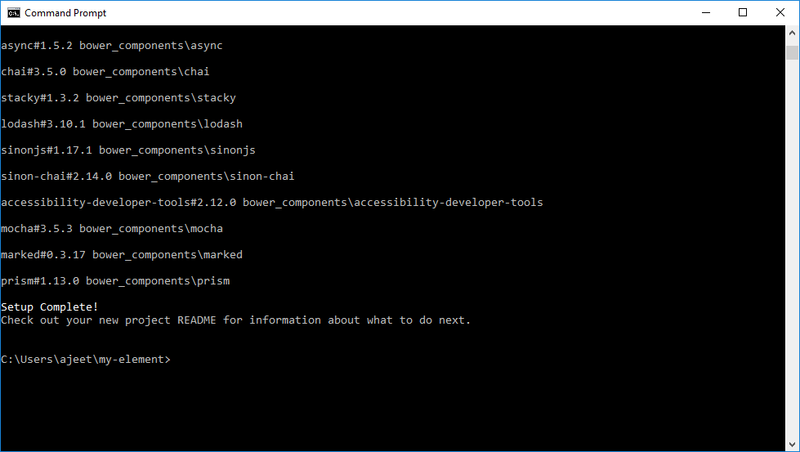 First, create a directory for your element project. Here the directory name is my-element. 2. Navigate to that directory. 3. Initialize your element. 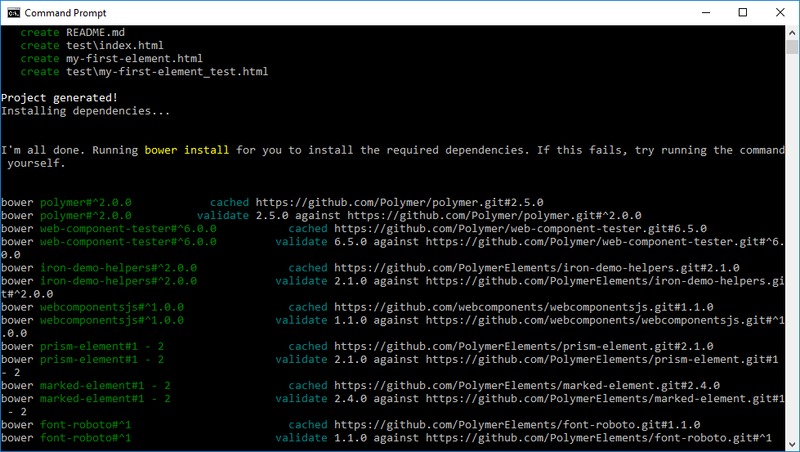 Polymer CLI asks you a few questions as it sets up your element project. 5. Enter a name for your element. Here the name of my element is "my-first-element". 6. Enter the description of your element. 7. Now your setup is completed. 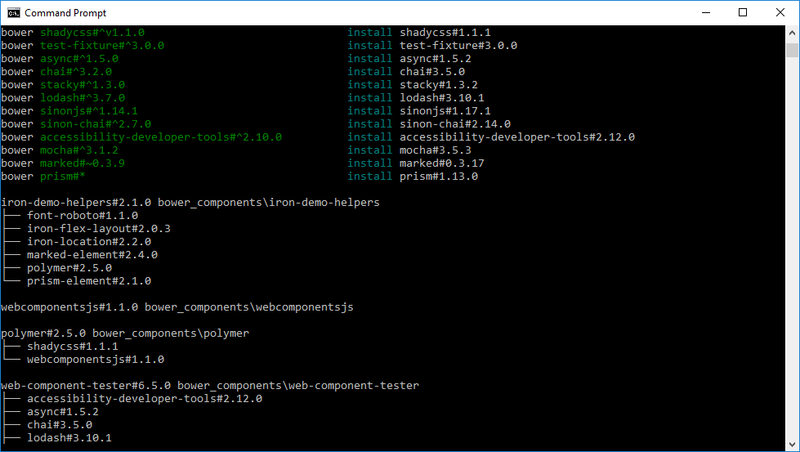 When the initialization process is completed, Polymer CLI generates the following files and directories.